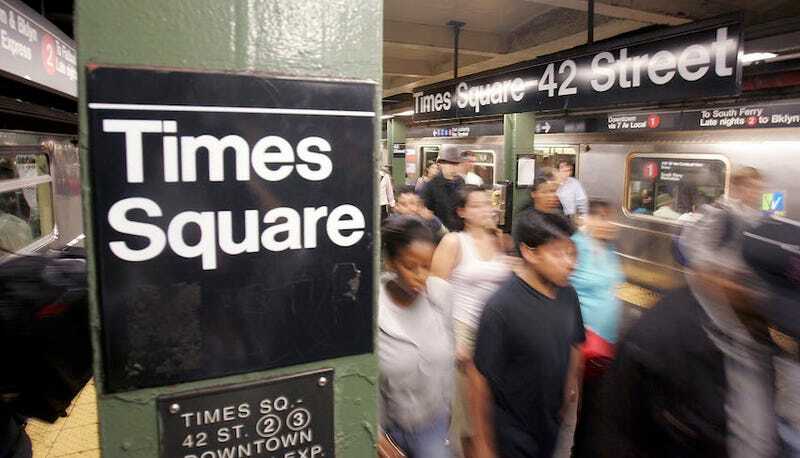 On Monday, Melanie Liverpool was arrested for shoving a woman onto the subway tracks at the Times Square subway station. On Tuesday, Liverpool was ordered held without bail in court in the death of that woman, 49 year old Connie Watton, where she insisted that she was not guilty. The AP reports that Liverpool seemed to show little remorse for the charges lodged against her in court today, saying “What? I didn’t admit to nothing,” before being gently reminded that her lawyer should be doing the talking. According to authorities, the two women were seen arguing on the subway platform and Liverpool pushed Watton onto the tracks in front of an approaching train. Watton was found deceased under the train and Liverpool apprehend shortly thereafter. Liverpool was described as “emotionally disturbed” by authorities at the time of her arrest, but according to her lawyer, Mathew Mari, she did not provide any medical information that would confirm that statement.